After a hectic first two-thirds of the year holiday time has finally arrived, and I’m spending a week with family up North. We’re staying on the shores of Loch Melfort, a peaceful and beautiful spot just south of Oban, on the west coast of Scotland. The waters of the loch are slightly bracing even in the height of summer, but were still enjoyable for a swim today, once I’d made it out past all the seaweed; mostly bladderwrack. There were a few seals bobbing about, along with cormorants – or they could have been shags, and duty seagulls. 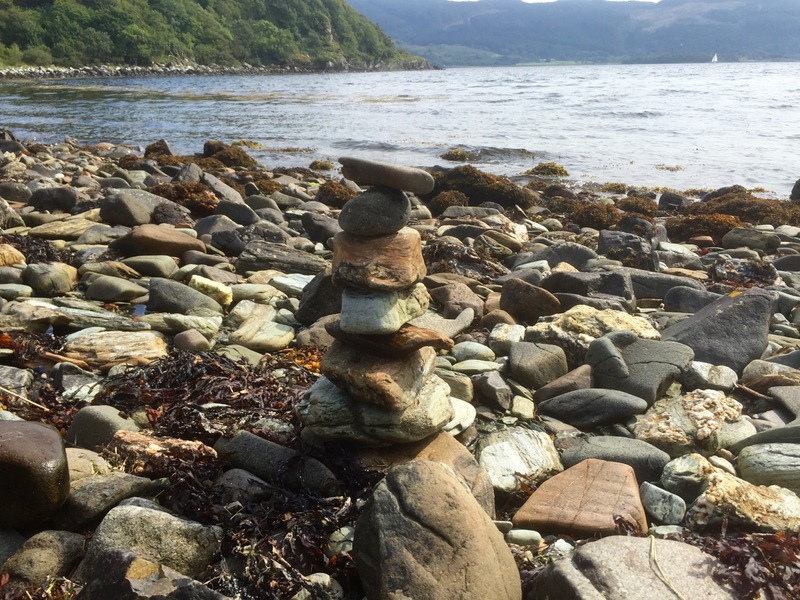 We made stone towers, and my niece and nephew fished for crabs. I’ve visited a lot of the area before, both on my 2013 cycle tour around the coast of Britain, and on previous holidays. Something about the West coast of Scotland keeps me coming back for more; it was certainly one of the best bits of my cycle tour. It was nice to visit the Tigh-An-Truish Inn for lunch with Dad on Monday, crossing the Bridge over the Atlantic to Seil Island. After lunch I walked 10 miles back over the hills to Melfort, taking in various sights and sounds along the way, and avoiding sheep wherever possible. It was a very peaceful walk and relatively easy-going, especially since the weather is good this week. Apparently it rained all last week so we’ve struck it lucky. I only met one other person walking the other way, accompanied by their dog who obviously thought everything was brilliant. That’s one of the great things about this part of the world, lack of crowds! After making it over the hills to Degnish, there followed a stroll down the road next to the loch back to Melfort. I’d forgotten it was quite a long road, with a fair few hills, however beer was waiting at the other end and the scenery was lovely; lots of buzzards soaring about too. Yesterday it was all about the beavers! Although I didn’t actually see any as they’re not so active during the day. There’s a Scottish Beaver Trial, now ended, in Knapdale Forest. The beavers are still there, awaiting a decision on their fate from the Scottish Parliament. Hopefully they won’t be evicted as they’re a keystone species that bring with them a lot of benefits for other flora and fauna. They’re also very cool creatures, and I’m wondering if I can sneak some back to Norfolk. To finish the day off we visited the small port of Crinan, at one end of the Crinan canal, which bisects the peninsula. 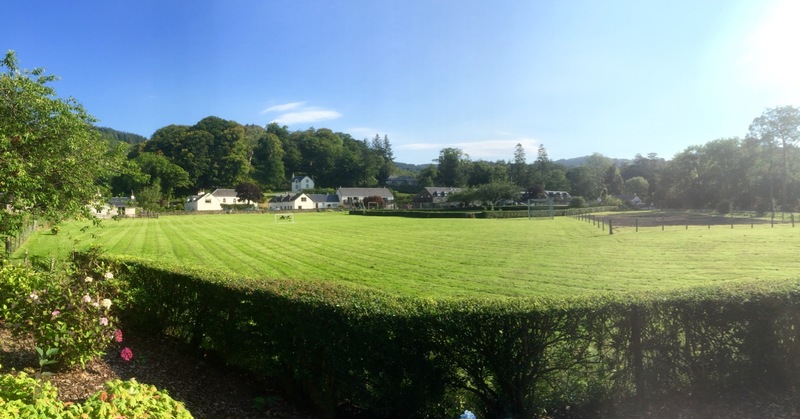 This entry was posted in Scotland, UK and tagged Adventure, Beavers, Clachan Bridge, Countryside, Crinan, Holiday, Knapdale, Melfort, photos, Scotland, Seil Island, Self Propelled 2016, UK on August 17, 2016 by SelfPropelled.